Day 9 – 150 mile – 1908 miles from Houston – the farthest north we travel from home. Laconia, NH was only 10 miles away and the weather looked like we were going to get a break so we decided to say goodbye to our new found friends and check out bike week. Here’s a shout out to Donny and Pam. Hey! Hope to ride with you in Houston. 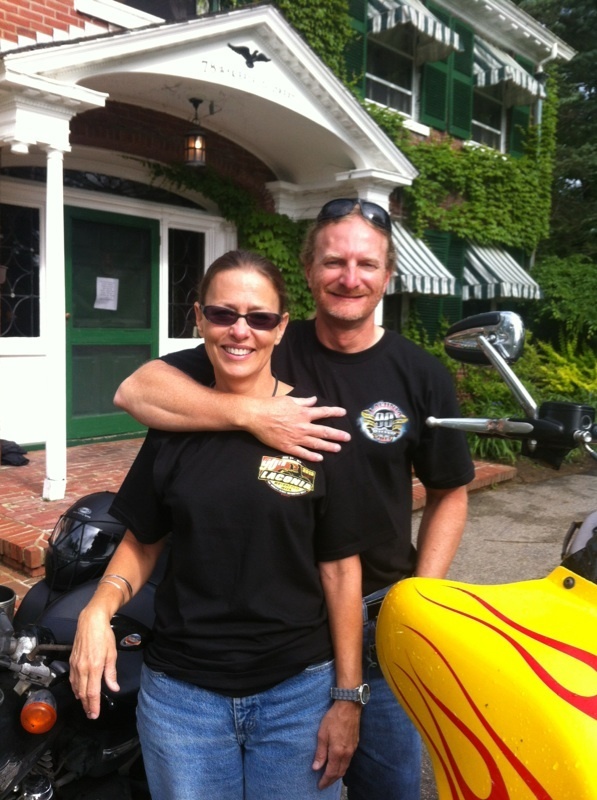 Laconia Bike Week is June 8-16. This year the rally is celebrating its 90th anniversary. We heard all the way here that it always rains bike week and … guess what … if this weeks weather is any indicator … its true. 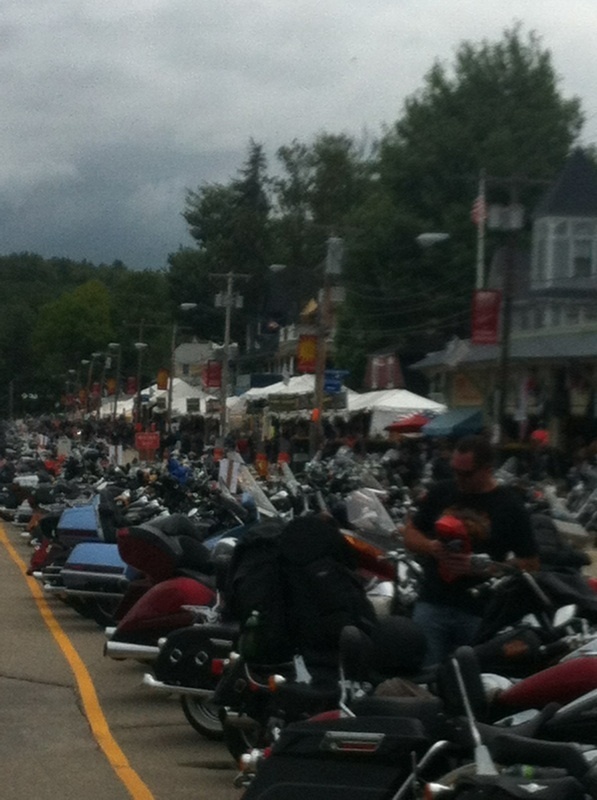 Arriving into Laconia – Weirs Beach was a much different scene than arriving in Sturgis, SD bike week. It didn’t seem as crowded and we didn’t experience bike grid lock. I suppose that was because most people don’t travel to the rally and spend a week there like they do when they go to Sturgis. We parked the bikes, took a few photos, bought t-shirts, patches, had a bite to eat and hit the road. 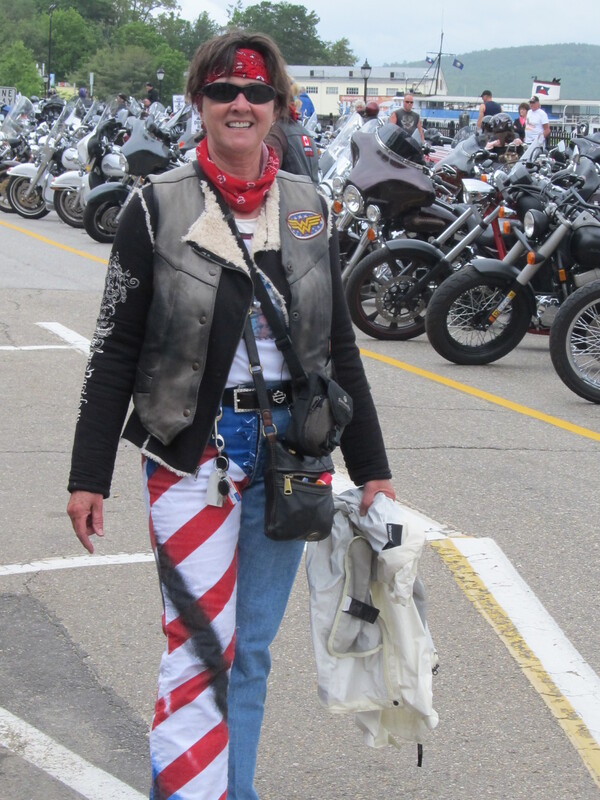 This entry was posted in On The Road Again and tagged bike week, laconia, motorcycle, motorcycle travel, motorcycling. Bookmark the permalink.